There is a surging demand for learning the English language in China. English is the language of global business; and it has turned the export-intensive country into an importer of American teachers, creating thousands of potential jobs for native speakers from the West to teach in schools and public institutions. There has also been an explosion of private language schools and companies around the country in feeding the insatiable Dragon. As many as 300 million Chinese people are learning English. The emerging middle class in China aspires to send their children for private instruction just as in the capitalist countries of Taiwan, Korea, and Japan. So a great many opportunities exist, and are being advertised abroad especially via the Internet. Most requirements for teaching posts in China are not always stringent: a university degree (and in some cases not) is often sufficient and teaching experience counts for more than formal training. In many cases teachers receive free apartments, airfare, a local salary, and other perks. Wages are best in the big cities (Beijing, Guangzhou, and Shanghai) where there are scores of English schools. But many teachers feel that the drawbacks of Chinese city life are so great that they prefer to work in the provinces for less money. The western provinces like Yunnan are more pleasant and less money-mad than the east coast cities. Once you get a job make sure the school sorts out the various permits (work permit, Letter of Invitation, Z-visa.) for which you are eligible. Ask your employer for help in obtaining a temporary residence so you can avoid the tedious and expensive necessity of renewing your visa. If you’re unsure about how to navigate through the job morass overseas, there are also a number of recruitment agencies that will assist you. However, beware, there are companies that preform unethical or substandard practices that result in poor job placement, not to mention time and money lost. 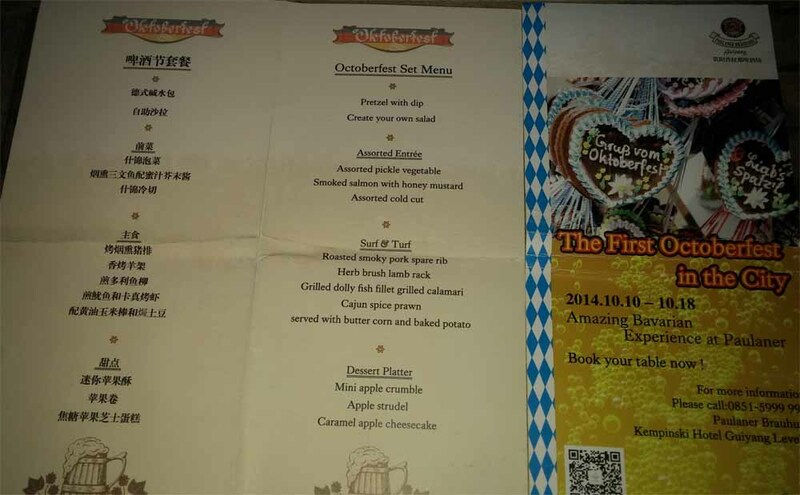 I strongly suggest you do your research before embarking on your teaching adventure in China. So, why would teaching ESL overseas be of interest to American Indians? Teaching overseas is a great opportunity not only to learn about different people and their cultures, but to help educate foreign students, continued professional development, and for résumé building. Derek Yazwa, along with his partners Brendan Gibson and Monica Weintraub, the creators of New Life ESL, “The only American expat recruitment agency in Asia” explain, “It’s one of the best ways you can bring incredible change and adventure to your life. It will give you the chance to travel the world while earning a great living, making a difference in people’s lives and making lots of friends from all around the world.” New Life ESL works closely with candidates to help them secure a teaching position matched to their qualifications, experience, and interests. The agency offers free consultations, review offered contracts, provide city options, ESL training and certification, lesson planning workshops, mandarin language study (not necessary, but opens doors to many other work possibilities) and more. The group is partnered with hundreds of schools guaranteed to help find you the perfect job. Just a few months ago, I reached out to New Life ESL wanting to try something new and exciting as part of my professional development as an educator. Brendan put me in contact with their friend and partner, Susie Zhou, a recruitment officer for Education International Culture Exchange Center—a human resources company in Beijing. With my qualifications and teaching experience she was able to place me at a middle school in Rongjiang County, Guizhou, which included a full-benefit teacher package: free furnished apartment, airfare reimbursement, medical, tax free salary and other substantial benefits, in just two weeks. I start my new teaching post in September! 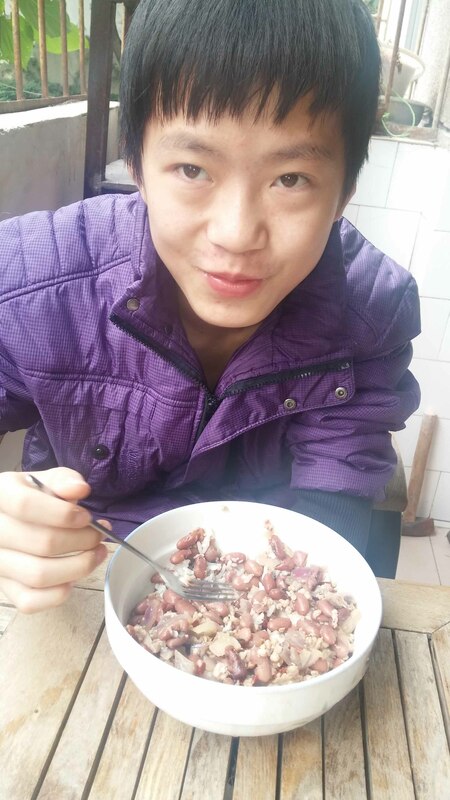 You can follow me on Weebly: An American Indian in Guizhou. Yifei is about 14 and stops by for lunch sometimes. He helps me learn Chinese and I teach him English. 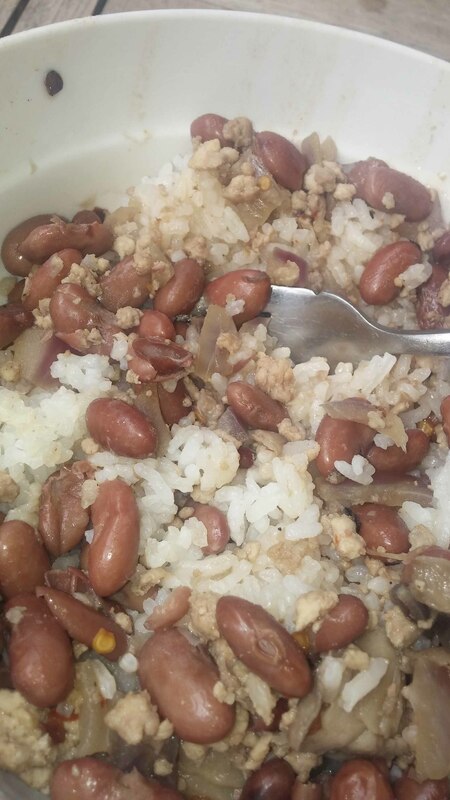 On a Sunday we cooked rice and beans, and talked about the process in both Chinese and English. It is a good learning experience and good food. First we went shopping and picked up some ingredients. Then we fried the meat with mushroom and onions. We added some peppers, both Chinese and American. Finally, we mixed the beans and bean juice, which I had bought (already cooked) in the local grocery. While this was going on we cooked the rice. It all was really nice. Eye in the Cloud ? If you suffer from paranoia about being watched in China, the following may aggravate your condition . . .
China got its first official shipments of new iPhones last week, but a new report from web censorship watchdog Great Fire indicates Chinese users may be facing an unpleasant surprise when they try to connect to Apple services at large. As of last night, the Chinese firewall is blocking all local connections to iCloud.com, redirecting those connections to a dummy site designed to look exactly like Apple’s login page. If you’re using Firefox or Chrome, you’ll land on a warning page like the one above, but if you’re using Qihoo, the most popular browser in China, you’ll be routed straight to the dummy site with no indication that it’s not being run by Apple. A similar attack is also being leveled against Microsoft’s Login.live.com, the company’s gateway for all account logins. Because the attack is taking place at the level of the Great Firewall, it seems likely that this is an attack by Chinese authorities meant to harvest usernames and passwords. Great Fire also provided traceroutes and a wirecapture to verify the attacks. If a user logs into the dummy site, it will give the attackers complete access to the user’s account, including any photos, text messages or emails stored in the cloud. Apple recently added default disk encryption to iOS, a feature that drew disapproval from the FBI and other law enforcement agencies, leading many to speculate that this attack might be a strike back against the company’s new security efforts. I visited Rhongjiang and the new Native American Indian English Teacher, Julianne Jennings. She has a magnificent place to live and work. I was in Rongjian with Julile and a butterfly landed on the car. I told her that it is good luck, and sure enough, a Dong lady stopped by and asked us for a ride into town. We were beside the river and going into town, so we picked up her up. I told her when she asked that we were both Americans, and she said to Julie, “Not you.”. Jule is a Native American Indian, and the Dong lady thought she was a cousin or something. They hit it off well and we had a couple “selfies”. She tried to pay us when we dropped her off, but we asked for a picture instead. She was very friendly.